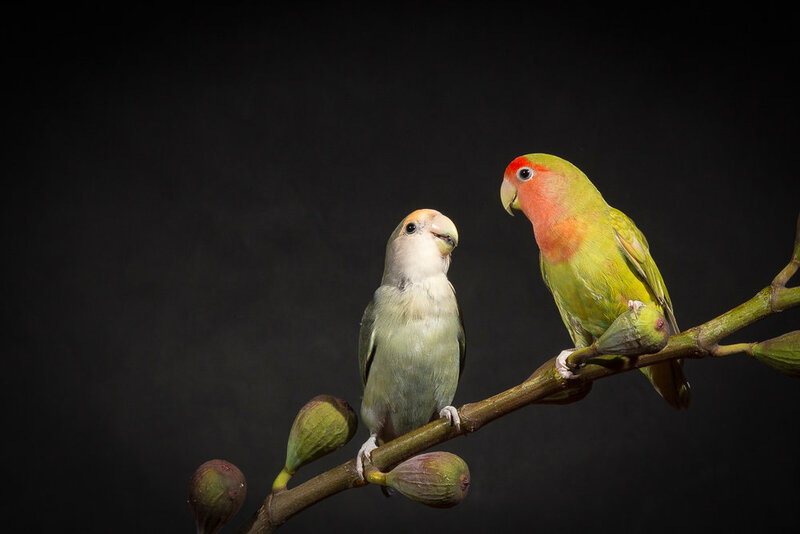 My friend Virginia recently added 2 lovebirds to her family, so I knew I just had to photograph them. I had never done a bird portrait shoot before so I didn't quite know what to expect, but they did great! These little fellas are still quite young, but very well-behaved. I love their beautiful colours. 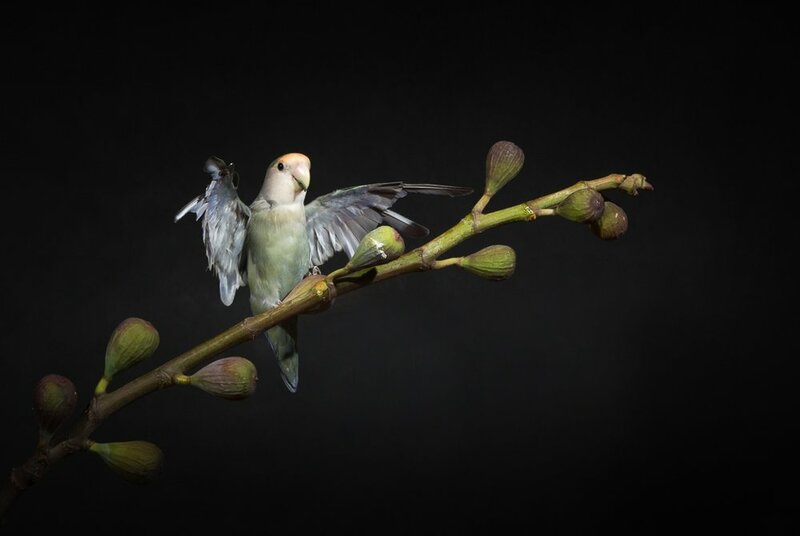 To get them to fly toward me, I had my assistant hold a branch where I wanted them to go. After a bit of coaxing, they started to fly toward the camera. They totally got into a groove and did it over and over again, as if it were a game. It is incredible how fast a bird can flap it's wings. They went from one branch to another in a split second. My husband recently pruned our fig tree so we had some branches in the back yard. The birds were curious and started pecking at them! I love this one below because it just looks like they are two friends hanging out having a friendly conversation. They look totally comfortable with each other. As a reminder, my last pet mini-session event of the fall is coming up next Saturday, November 25th. Click on the bar above if you'd like to get in on the fun!